The most common about approach to setting successful goals are usually the best and I am sure that you have heard of SMART objectives. Your goal should have some sort of measure to show that you have achieved it. In the above example it is being able to run 10k in under 50 minutes. Another example may be “To write 1000 words of more everyday”. Quantify your goal to show that you are achieving the intended outcome. Is your goal realistic? With running, this might not be realistic if you are morbidly obese and weigh 300 pounds. Review your currently ability and adjust the goal accordingly – the obese person may just aim to walk 10k or focus on losing the pounds so they can start running. Is what you doing realistic? For running 10k it might be because most people can run outside. If you want to run 30 miles it might be harder as you lack the time to dedicate to the training. If you want to run in the Olympics it might not be realistic because you are in your late 30’s. 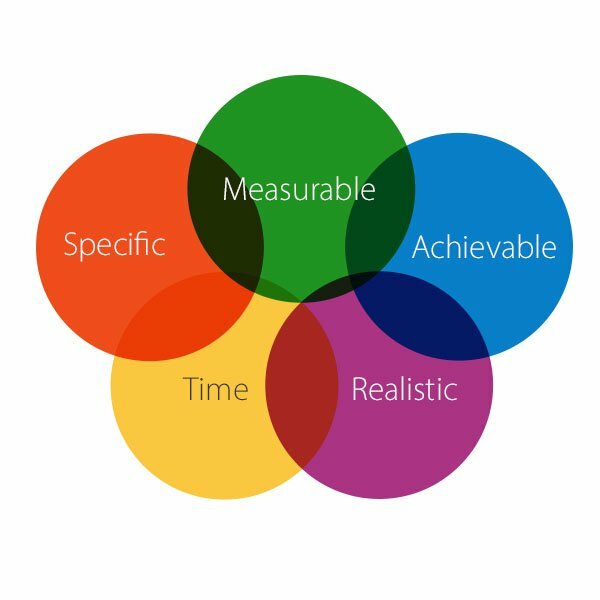 The realistic attribute is taking a long hard look at whether what you intend to achieve is feasible. Also make sure to keep record of when you start your goal, then you can be accountable for how long the time period has elapsed. Have a look at all the goals you have written. I find it useful to use a table (like below) and write how you will fit it into each component. I will run 10k on the road in under 50 minutes. Previously I have been running 5k where I have been achieved a personal best of 24 mins 45 sec. I am confident based on my running history that this goal is achievable. I intend to achieve this time within four weeks following the 1st June. Break larger goals down into smaller steps and apply SMART objectives to the sub stages. Pay attention to the attributes – how are you progressing? Are you getting closer to your measure against the time-based deadline? Is it as achievable or as realistic as you first thought? Could you provide more clarity with the goal and make it more specific? Go back and review making changes as appropriate – you might feel like you are failing when you review and have to make changes because of something you didn’t anticipate. You only fail if you give up – all you are doing is setting yourself a more realistic plan based on what you have experienced. SMART is a useful tool for writing good feasible goals – it’s commonly referenced in every bit of personal development literature everywhere because it is so simple for anyone to pick up and gets results. If I had one bit of advice for you to take from this is keep your goals focused.